Why use a Tree Service? Home » Why use a Tree Service? Although trees are everywhere, there are not many people who fully understand how much work they can take for upkeep in residential or business settings. Trees which grow in the countryside are left to their own devices, but trees closer to home can present a few headaches from time to time. Professional companies such as Las Vegas Tree Removal Pros fulfill all of the following and show why it is highly beneficial to use a Tree service. Many individuals are great gardeners, but when it comes to tending for trees, there is a difference in equipment needed. For one, there is no reason a homeowner in Las Vegas would need to purchase chainsaws, ladders and various handsaws and pruning gear just for tending to their trees. Aside from this, there is the fact many of these power tools are dangerous, and it is better to leave the use of them to professionals. Trimming branches from trees is a risky occupation, and in many instances, the professionals from Las Vegas Tree Removal Pros have seen branches which have been cut from high up first, and these have broken other branches on the way down and subsequently swung into properties. Apart from this, being high up in a tree when this happens can be risky, and deciding to use professionals not only prevents this, but there is insurance in place in case anything does go wrong. This can take a few years of practice and skill. Trimming trees by yourself can leave you with one which looks lopsided and very unpleasing to the eye. If this happens, the tree will grow more on the untrimmed side,and in the end, it is a complete waste of your time and effort. There are plenty of tree hazards which go unnoticed, and attempting to work by yourself can create more problems than bringing in professionals who will spot these hazards before they commence work. When pruning and trimming are done by the hand of Las Vegas Tree Removal Pros, your trees will grow better. Roots become stronger, and new branches are encouraged to grow, which leads to a much healthier tree which is an excellent addition to your garden. For any individual who ever considers removing a tree stump will very quickly regret the decision. These can be one of the hardest things to do, and trying to do it manually could take a lot of back-breaking effort. 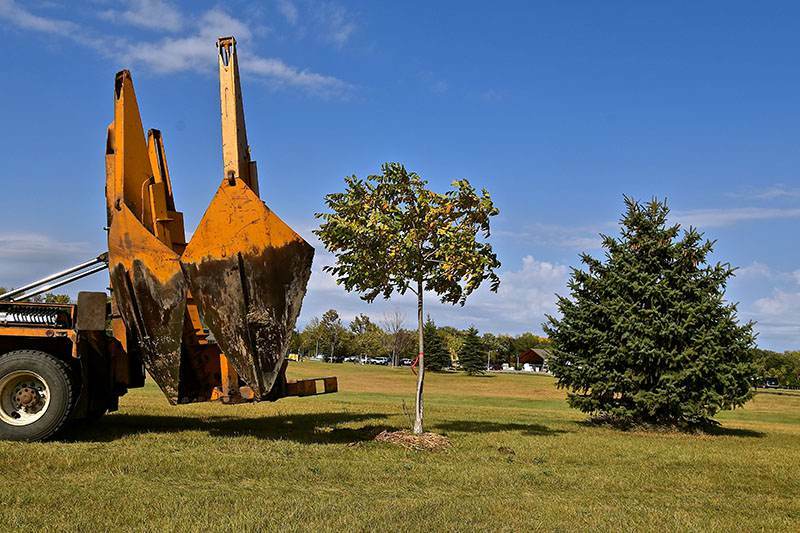 Las Vegas Tree Removal Pros have the best equipment to remove stumps with hardly any effort, and the area is cleaned up to the best possible condition. There is no question that when you use a tree service in Las Vegas, you will have more time on your hands. To tend to these can easily take untrained people well over a weekend to complete. Our professionals do all the hard work, and can even do so while you are on vacation.